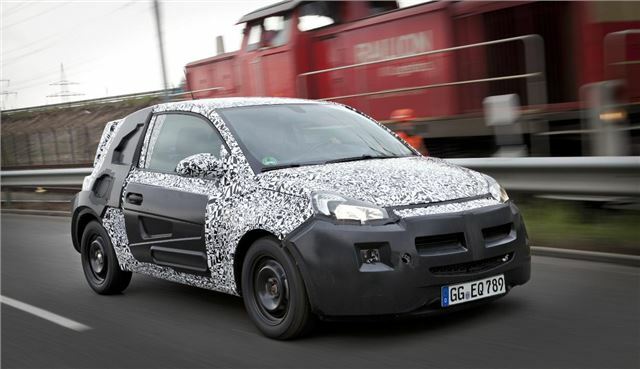 Vauxhall has confirmed that its new small hatchback will be called the Adam. The new model will compete with the likes of the Fiat 500, Citroen DS3 and MINI, with lots of customisation options for owners to choose from. We expect prices to start at around £10,000 when it goes on sale in early 2013. The only pictures currently available are of a disguised pre-production car, but they reveal a short, three-door design slightly smaller than a Corsa, with headlight detail reminiscent of the Astra GTC. Vauxhall says there will be a wealth of customisation options, allowing buyers to pick from an array of colours, details, trims and options, much like with the MINI. The Adam will debut at the Paris Motor Show in September, but don’t expect Vauxhall to keep it shrouded in black and white wrapping until then – we’ll bring you pictures of the undisguised car as soon as they’re released.